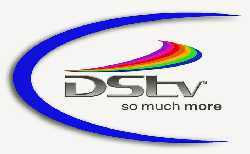 DStv is the leading pay cable satellite TV provider in Nigeria and Africa. There are different ways that you can use to pay for your DStv subscription,one of the ways that you can pay for your subscription is via any Atm machine near your location in Nigeria. This post will teach you how you can easily pay for your DStv subscription by using your ATM card on any automated teller machine (ATM) nearby. Simply walk to the nearest ATM Machine (automated teller machine). Select the Pay Bills Option. A list of Bouquets will be displayed with different prices. Enter your DStv Smart card number. A verification screen will be displayed. After making a payment your DStv will be reactivated. Send RA SmartCard No To 30333 via SMS. Your viewing will automatically be restored.